Benson Idonije, 75, crossed paths with Fela Anikulapo-Kuti, the Nigerian creator of Afrobeat (who died on 2 August 1997, aged 58), in 1963 inside the studios of the Nigerian Broadcasting Corporation (NBC). 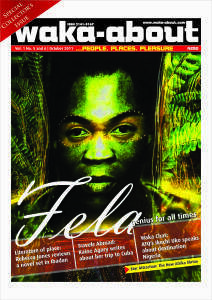 “On the day of our meeting,” the Jazz aficionado recalls, “he [Fela] came with an album of Jazz which he had recorded in London; I played it on my Jazz programme and from then on we became friends.” Shortly after that episode, the Fela Ransome Kuti United, a Jazz band, was formed with Idonije managing the ensemble. Several collaborations followed, and the bond between the two men grew even stronger, to the point of them having a shared pet name, Oyejo. Previous Previous post: The (Afrobeat) King is back!